AUSTRALIAN grain organisations are advising growers of the increased risk attached to growing barley in the upcoming winter-cropping season in light of China’s anti-dumping investigation initiated in November. 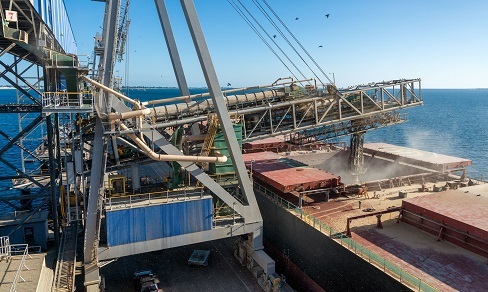 While bulk shipments of barley, mostly from Western Australia, appear to be continuing apace, grain marketers are aware that China could impose tariffs or other trade impediments at any tick of the clock which will impact Australia’s biggest barley market. This week, a joint industry statement on the subject was issued by Grains Industry Market Access Forum, Australian Grain Exporters’ Council, GrainGrowers’ Limited, Grain Producers Australia and Grain Trade Australia. It advised growers to obtain advice from independent advisors or consultants in relation to planting and grain-marketing options in the lead-up to their autumn planting period. The statement has been disseminated by other organisations, including CBH Group, which is Australia’s biggest barley exporter. GrainGrowers chair and Mallee-district farmer Brett Hosking said the Australian barley industry was working hard to keep the trade alive as China worked through its anti-dumping investigation into barley pricing. “China has become integral to our agriculture system in Australia, and a good trading partner,” Mr Hosking said. Growers around the country are in the midst of planning their rotations for planting from April to June, depending on rainfall and location. However through the process of evaluation the market signals are looming out there and need to form one of the factors in decision making and financial planning. China’s investigations are likely to take 12 months, provisional measures can be in place for four months, and if duties are applied at the conclusion of the investigation these can remain in place for 12 months or more. The investigations are looking for evidence of injurious dumping, which the World Trade Organisation defines as occurring when exports are sold at a price lower than the exporting country’s domestic market, and/or below the cost of production. Although the Australian grain industry is confident that dumping has not occurred, the likely outcome of this anti-dumping investigation is unknown at this point in time. Possible outcomes could include the imposition of provisional import measures such as securities or cash deposits on Australian barley exports to China, similar to those imposed on US sorghum at around this time last year.